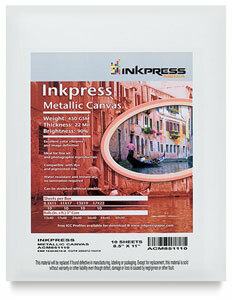 Add a unique dimension to your portraits, wedding photos, fine art prints, and other high-quality images with Inkpress Metallic Canvas. This premium poly/cotton blend canvas with a bright white base and metallic silver layer offers excellent tonal range and D-max. It also dries quickly and is water-resistant. The 22 mil weight lends a supple feel. 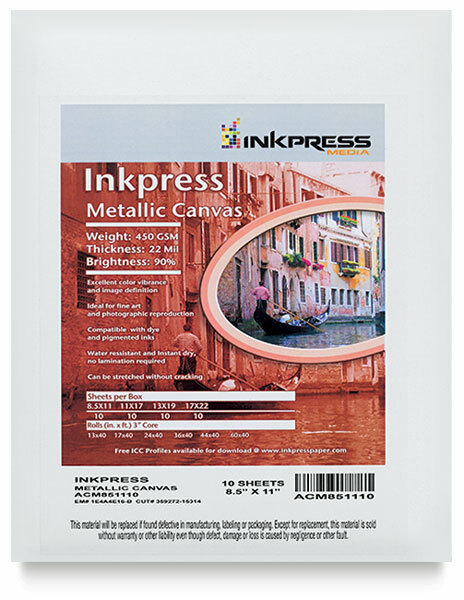 Inkpress Metallic Canvas stretches well, resists cracking, and is compatible with all aqueous inkjet printers, plus dye-based and pigment inks.